Disclosure: I received a free product to facilitate this review. However, all opinions are my own. No other compensation was received. 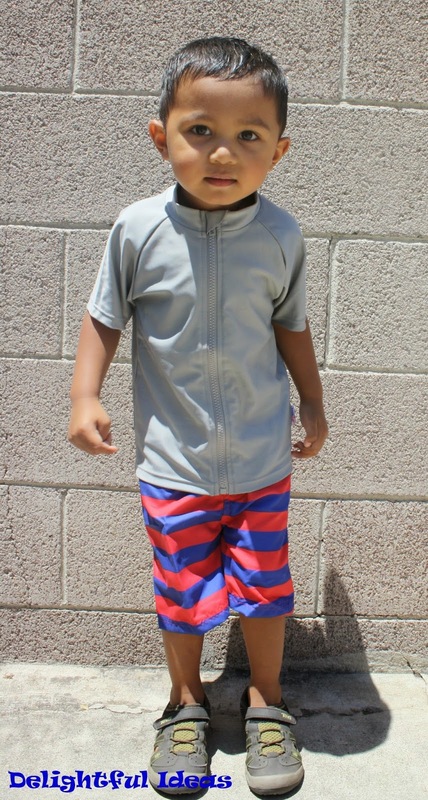 One of my summer essentials for the toddler is this SwimZip swimwear. It's a UV 50+ swimwear with a full-length zipper down the front which makes it easy to put on and take off when wet. SwimZip material blocks 99% of the UVA and UVB cancer-causing rays, that means more time for Elias to have fun out in the sun.